Author: Walker, Martin Set In . . . Description: In a brilliant and ambitious thriller that combines elements of Jean Auel's The Clan of the Cave Bear and Ken Follett's The Pillars of the Earth into a riveting, multifaceted tale of love, art, courage, and war, Martin Walker brings to life the creation of an extraordinary work of prehistoric cave art and the struggle to possess it in our own time. Walker's richly interwoven novel opens with the arrival of a mysterious package for a young American woman working in a London auction house. Brought by a British officer, it contains a 17,000-year-old fragment of a cave painting left to him by his father, a former World War II hero. As the young American woman, the British officer, and a French government art historian explore the ancient province of Périgord to determine the painting's origins, their search serves as backdrop for three compelling stories. There is the tale of the British officer's father who lands in Nazi-occupied France in 1944 to organize the Resistance, culminating in a series of battles to prevent the SS Das Reich Panzer Division from reaching the Normandy beaches in time to repel the D-Day invasion, which leads to an account of the subsequent discovery -- and cover-up -- of the lost cave and its paintings. And there is also the moving story of the young artist who painted them, the woman he loved, and the ancient culture that produced the first recognizable human art but required the sacrifice of its own creators. 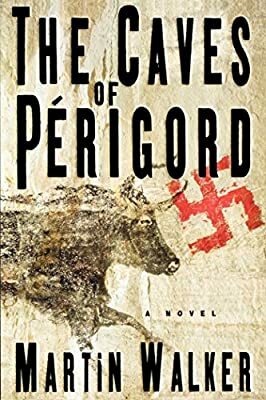 Filled with vivid, historically accurate details and imaginative re-creations of prehistoric life, The Caves of Périgord blends a complex plot and richly diverse characters into a seamless narrative of romance, tragedy, and heroism from past to present.